Social media is a broad topic for home-based entrepreneurs. At its essence, social media is all about two-way interaction with your customers and giving them information — real-time. This includes website interaction, blogging, Twitter, Facebook, e-newsletters, Linkedin, and other online interactive mediums. No matter what the business or challenge, common success factors will help integrate social media into your business. First, manage your time. The biggest challenge with social media is how time-consuming it is. Like sales, where you must force yourself to spend time each day prospecting, you should also budget time each day to social media market. Interact with this universe. Respond to Facebook posts, send Tweets, post blog comments, compile email addresses, send electronic newsletters, etc. These all take time. 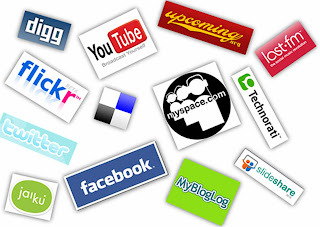 Another success factor is to get comfortable with the technology of social media. With templates and pre-formatted software, social media is easy to work with. For example, Facebook is already 95% configured and ready to use. All you need to do is leverage the technology already built into it. Finally, remember that social media should be called “social media marketing,” because in the end, it should be all about marketing. First, integrate social media into your business, and then use it to expand market reach. Start by linking marketing messages into social mediums. Whatever the product or service of your business, take the marketing messages you have in traditional media, and spread them throughout social media. Be subtle and find balance. Do not overwhelm your social media universe. The possibilities are limitless. Here’s an example: Someone leaves a post on your business’s Facebook page (You do have a Facebook page, don’t you?). You reply with relevant advice. Include with the reply a link to your website that summarizes the product or service you provide, and ask him or her to sign up for your free e-newsletter. You achieve two-way interaction, followed by an unobtrusive marketing message and a medium for future communications. Every social medium provides unlimited opportunities to make these connections. Learn the basics of social media, and then find time to market with it. 0 Response to "Social Media is Your Biggest Challenge in Your Home Based Marketing"